Agaricus bisporus (commonly known as round mushroom, oceanic mushroom), is a kind of grass rot fungi, low-temperature mushrooms, northern China is rich in straw, wheat straw, the climate is suitable for the growth of Agaricus bisporus, has great potential for development. 1. Agaricus bisporus growth nutrition and conditions nutrition: Agaricus bisporus is a kind of saprophytic bacteria, can not be photosynthesis, in the ingredients, in the crop straw (straw, straw) added the right amount of farm manure (such as cattle, sheep, horses, pigs, chickens And human excrement, etc. ), also need to add appropriate amount of nitrogen, phosphorus, potassium, calcium, sulfur and other inorganic nutrients. A reasonable formula is an important basic condition for achieving high yields. Temperature: The growth temperature of mycelia of Agaricus blazei is in the range of 4Â°C-32Â°C, the optimum temperature is 22Â°C-25Â°C; the growth temperature range of fruiting bodies is 5Â°C-25Â°C, and the optimum temperature is 14Â°C-18Â°C. Humidity: The moisture content of the culture material should be about 60%, and the moisture content of the cover soil should be 16%-20%. Mycelium growth phase relative air temperature of 60% -70%, fruiting body growth phase of 85% -95%, too dry or too wet on the mycelium growth are unfavorable. pH (PH): Agaricus bisporus should be alkaline, and it is unfavorable to the growth of mycelium and fruit bodies, and it is easy to produce bacteria. The PH value of mycelial growth range is 5-8, the most suitable 7-8. The PH value of the culture material before entering the shed should be adjusted to 7.5-8, and the PH value of soil particles should be 8-8.5. A little lime is added for each harvest of a mushroom spray, in order to maintain the PH value and inhibit the growth of miscellaneous bacteria. Air: Agaricus bisporus is an aerobic fungus, so it must be well ventilated. Illumination: The mycelia and fruit bodies of Agaricus bisporus do not require light, but they can still grow under the condition of general scattered light, but they cannot be irradiated with strong light. The fruiting body grows white and hypertrophy in a dark environment. If the light is too strong, the grown fruit body is hardened, and there are many malformed mushrooms. The value of the product is poor. 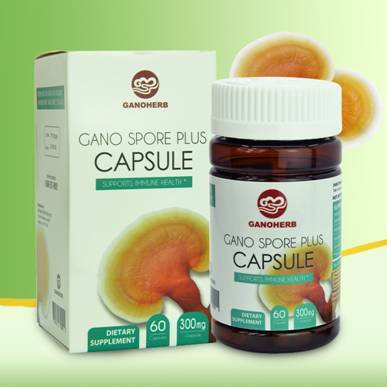 Ganoderma Capsule (Reishi Capsule/Lingzhi capsule) is made of USDA certified organic Ganoderma Lucidum spore powder. The Ganoderma used for this product is 100% organic and comes from our self-built Ganoderma farm, which has acquired 4 organic certificates from China, Japan, the US and the EU. During the cultivation process, not any pesticide, herbicide, or chemical fertilizer was used at all. The capsule shell we used is called Vcap vegetable capsule shell which is made of 100% plant fiber and is more stable and safer compared to regular gelatin capsule. GANOHERB guarantees that all of our product do not contain any additive, hormone, or chemically synthesized matter. 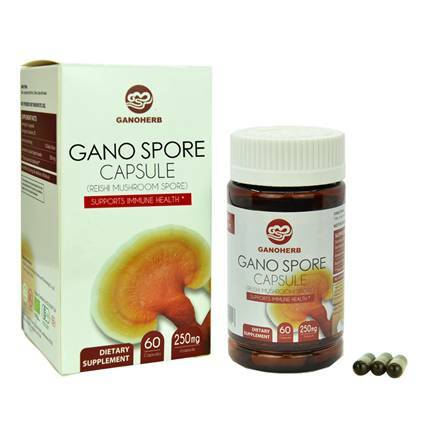 The Ganoderma spore powder inside the capsule is rich in Ganoderma Lucidum polysaccharides and triterpenes, which help enhance overall immunity, preventing diseases and infections. In order to make the nutrients inside can be easily absorbed by human body and prevent oxidation at the same time, we use a patented technology called low temperature physical shell-breaking technology to break the cell wall of the spore powder. The wall-broken rate can reach as high as 99.5%. Previous: How to do peony rot, bud?